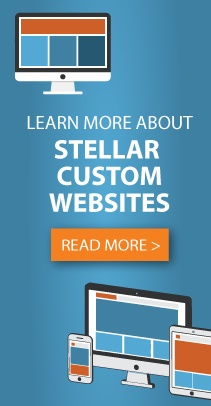 Stellar Blue Technologies, a Fox Valley, Wis. based digital marketing firm, launched a new custom website for Nichols Paper Products Company, Inc. Based out of Nichols, Wis., Nichols Paper is an industry leader in providing valued-added printing and converting solutions to companies in a wide range of markets and applications. This website is Stellar Blue’s first project completed for Nichols Paper. When users first come to the website, they encounter a dynamic design with images that showcase Nichols Paper and the services the company offers. Users can easily contact Nichols Paper professionals with the phone number and email address located at the top of the home page. The main navigation bar gives users ways to explore the website and comes fully equipped with drop-down menus. As the user scrolls through the home page, they notice detailed descriptions of Nichols Paper services. The home page concludes with previews of blogs found in the “Our News” section, a quick way to sign up for the company newsletter, a contact form, and social media icons. The custom website is built with a responsive design that operates effectively across a variety of devices. WordPress and blog integration allow easy content updates and the ability to edit pages throughout the website without hassle. The website also provides users with a contact form, so they can submit messages or questions to Nichols Paper with ease.